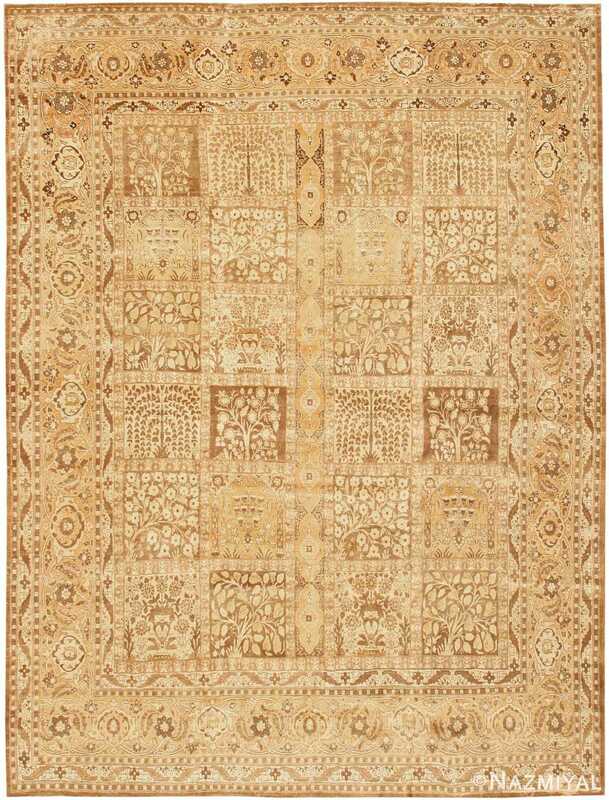 This regal antique Persian Tabriz rug features a superb chamfered medallion embellished with fluid botanical decorations juxtaposed against a monochromatic field. 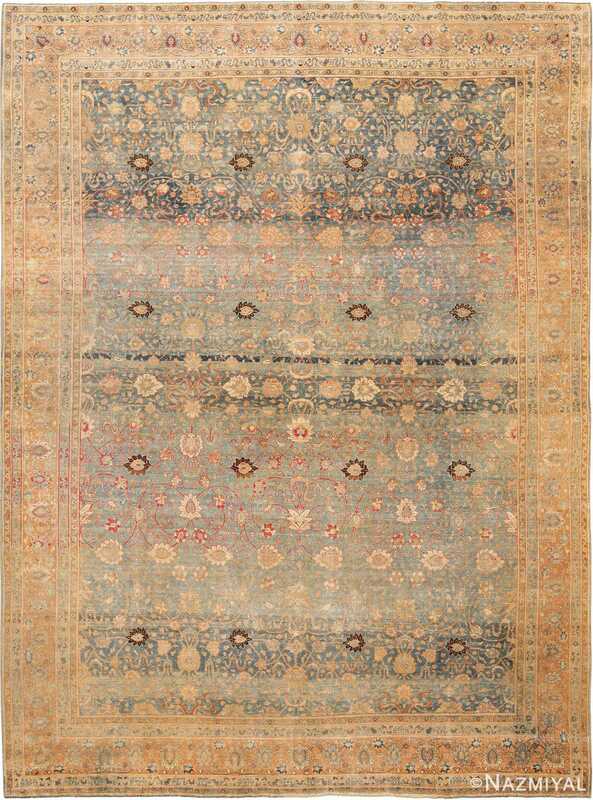 Tabriz Rug, Persia, Late 19th Century – Drawn in a masterful, fluid style, this arresting antique Tabriz rug by Haji Jalili showcases a stunning pendant-flanked medallion surrounded by delicate neutral decorations and a saturated pumpkin-colored background. The beautifully proportioned field depicts a radiant series of inset medallions that frame the decorative centerpiece and recede into the ornate corners. Robust ultramarine details and delicate ivory compartments are put in stark relief by the broad monochromatic orange field, which features an exquisitely varied abrash. 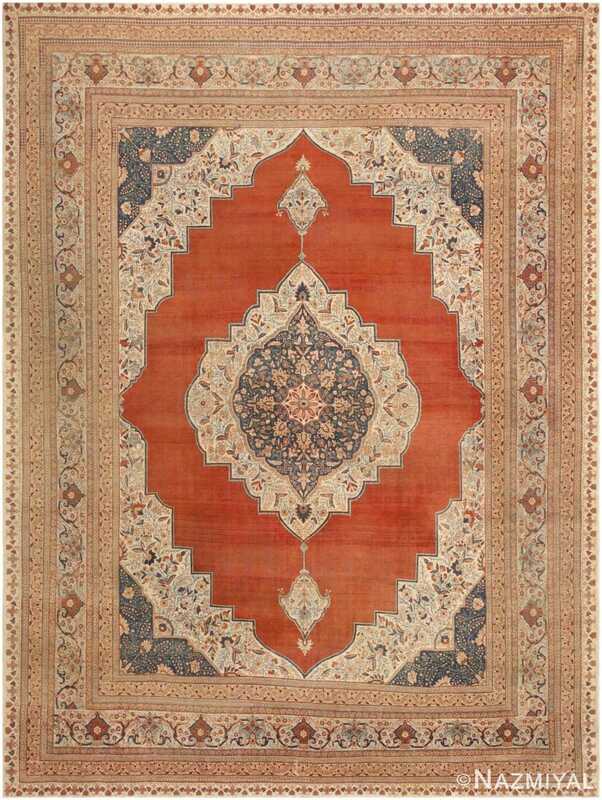 Hairline floral figures, filamentous tendrils and intricate polychromatic outlines exemplify the decorative and inherently elegant style of Tabriz. The artistry of the regional aesthetic is redoubled in the immensely detailed borders, which include at least five beautifully executed patterns spread across 10 primary, secondary and tertiary borders and guard bands. A classic Northwest Persian garden design in a compartment format unfolds majestically across the field of this lavish antique Tabriz. 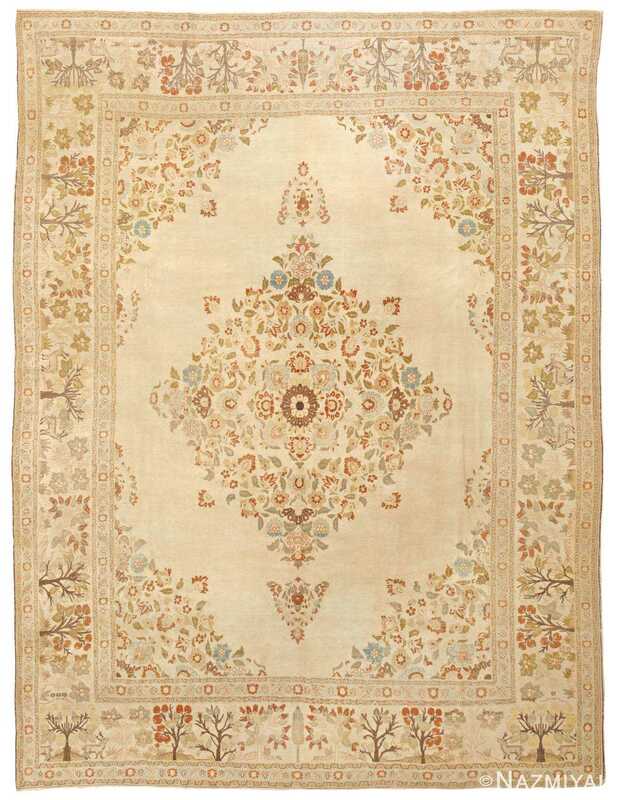 Delightful floral patterns and arborescent borders woven in chic colors give this antique rug from Tabriz an airy composition and a delicate feminine facade.